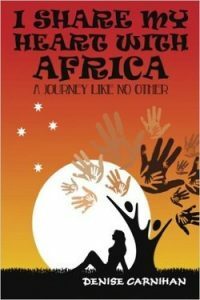 You are here: Home / Latest News / Helping Hand Africa – Is Africa on your Bucket LIst? 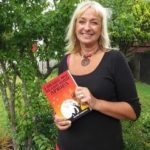 Denise Carnihan is a Kiwi living on the Kapiti Coast, north of Wellington, whose heart has been touched by Africa. She has written a book on her Africa story called “I Share My Heart With Africa“. 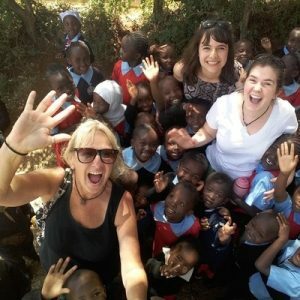 As a result of the book, she then started her own tour business taking small group tours to Kenya, for interaction and a little bit of work at the school, and all the fabulous adventures Kenya has to offer. Read more about Denise and her story here…. 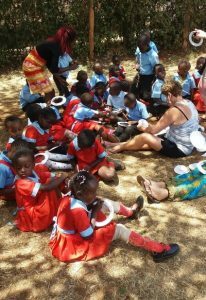 A few years ago Denise co-founded (with her husband) 2 primary schools in the slums of Kenya, both set up for needy families. Their energy is now focused on the most recent school, which has a little touch of NZ in it’s name – Tamariki Education Centre which is in an extremely impoverished community. Her main focus is on introducing people to our school and providing LOW-COST, grass-roots, local life-changing adventures. 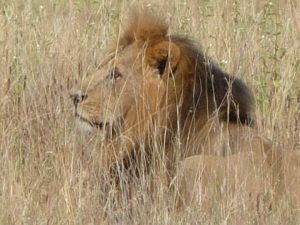 Helping Hand Africa tour packages are all-inclusive, including international flights to and from New Zealand, accommodation, meals, transport, safaris, game drives, park fees, internal flights, etc…..
– a website specialising on women owned and run tours and accommodation around the World.